Dory is swimming along, kind of spacey not really paying attention to what she's doing, looking this way and that, humming, twirling, etc. She swims right into a strong current, "Whoa, hey! What's happening? Where am I?" We hear a laid back hippie, "Hey man, you're in the EAC." Dory meets Ziggy, a hippie turtle. Ziggy asks her what kind of fish she is. Dory realizes that she doesn't know. She asks, "What kind of fish are you?" Ziggy laughs, "I'm not a fish, I'm a sea turtle." Dory decides maybe she'll be a sea turtle, too. Ziggy tells her they are making their yearly trip to the beach. He tells Dory he hopes to see his son there, whom he hasn't seen in 50 years. Dory decides she wants to go see this beach. As the turtles reach shallow water, Dory begins to struggle. "This way man!" Ziggy calls as he starts walking up the beach. 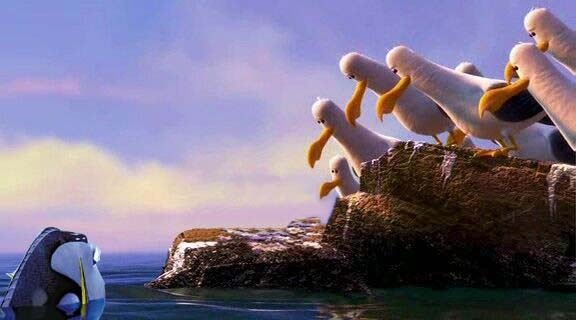 Dory struggles to reach the shore. As she pokes out of the water, she gasps for air. The seagulls swoop towards her calling MINE! MINE! Dory quickly rushes back under water. She realizes that she's not cut out to be a turtle. She and Ziggy say goodbye to one another. As Ziggy turns away, we hear Crush's voice say, "Dude!" Ziggy replies "It's so good to see you, son." 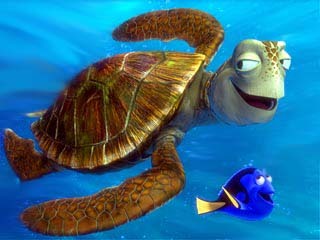 Dory smiles as she turns away, "I guess I'm not a turtle, but what am I? 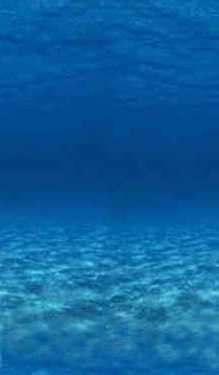 Oh well, just keep swimming, just keep swimming."